Dishwasher Issues: Why are My Glasses Coming out Cloudy? When it happens, it can be very frustrating. If your glasses are coming out of the dishwasher cloudy, then one reason can be that you are using too much detergent. That cloudiness can actually be residue left from caked on soap. Solution: Remove all dishes from your dishwasher and give your dishwasher a deep clean with vinegar. Vinegar will dissolve detergent residue that is lurking inside your machine. Also be sure to switch to pods that will emit just the right amount of detergent into your dishwasher and help prevent the issue. Did you just move to a new home and are noticing issues with cloudy glasses? It could be the water. Hard water is considered “hard” because it is high in calcium and magnesium, often leaving behind limescale on your dishes or anything the water touches. While you might not see it on your other dishes, it’s more obvious on your glassware. Solution: Again, vinegar to the rescue! Soak a microfiber cloth in white vinegar and rub down your glassware to remove the film. You can also try newspaper, as it is also a great tool for removing the mineral buildup. Another reason your glasses might be coming out of the dishwasher cloudy is that they might be permanently etched. That etching can look like cloudiness, but if you look closely, you’ll see the tiny scratches. This can be a result of too much soap, detergent that is high in phosphates, or soft water. Solution: If you notice your issue is actually etching the glass, then experiment with different soaps and cleaning methods to see what stops the etching for occurring in the future. Still suspect dishwasher repair is needed? 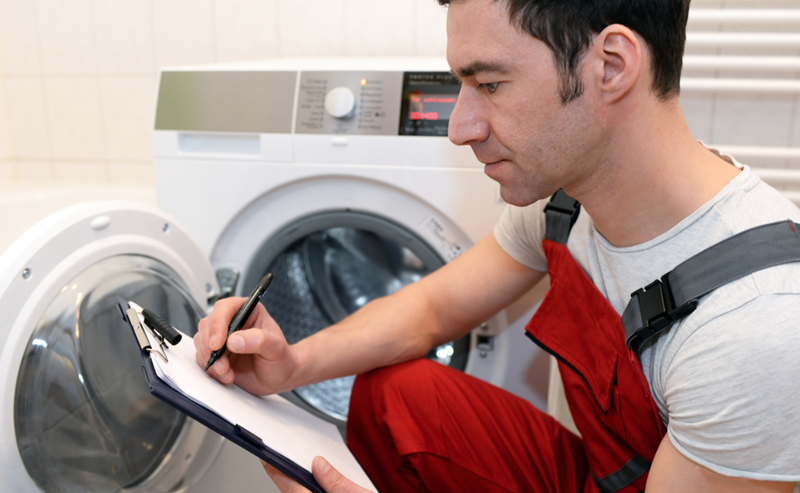 Appliance Rescue Service in Frisco, Texas is always here to help! Give us a call for fast, friendly, and quality service every time. We pride ourselves on being the best appliance repair in Frisco, Texas!